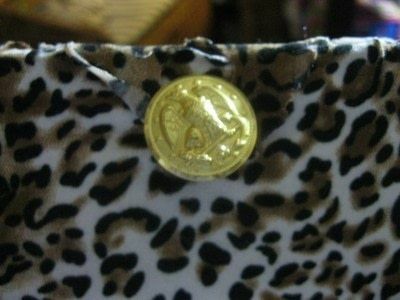 It came to me when I was trying to decide what to do with this super cute leopard print fabric! Put some cardboard or scrap paper in the plastic part so you don't cut through it - but you can remove the plastic if you want to. 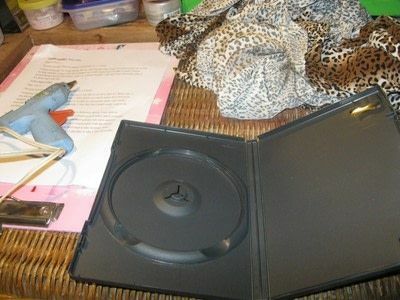 Cut out your fabric, you're going to glue it to the side of the DVD case. 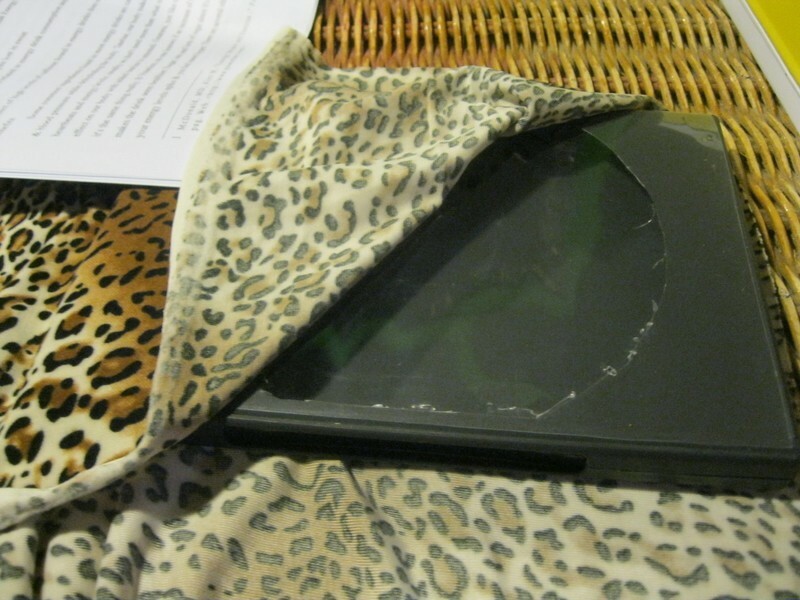 Be careful not have much excess fabric because it might get in the way of the case which will prevent it from closing properly..and all yer stuff is gonna fall out. Should look a little like this. 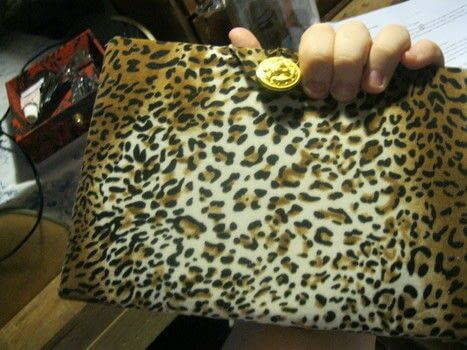 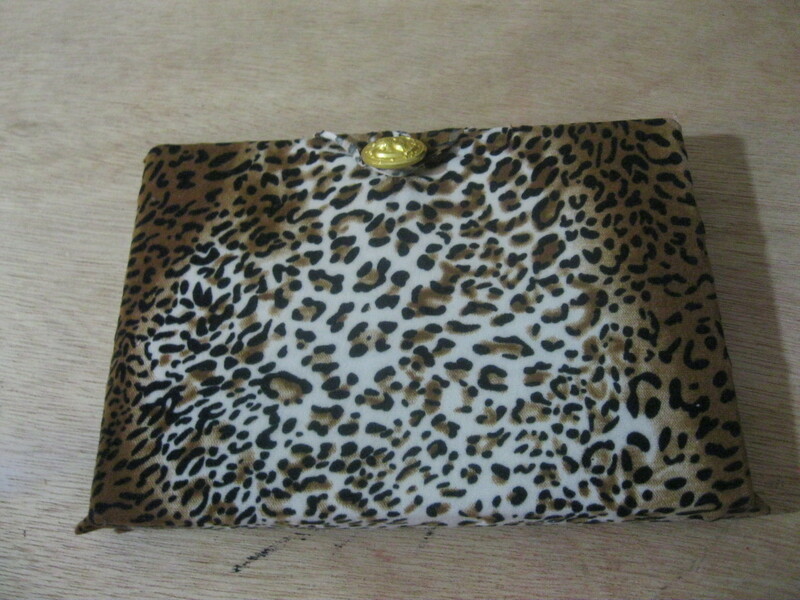 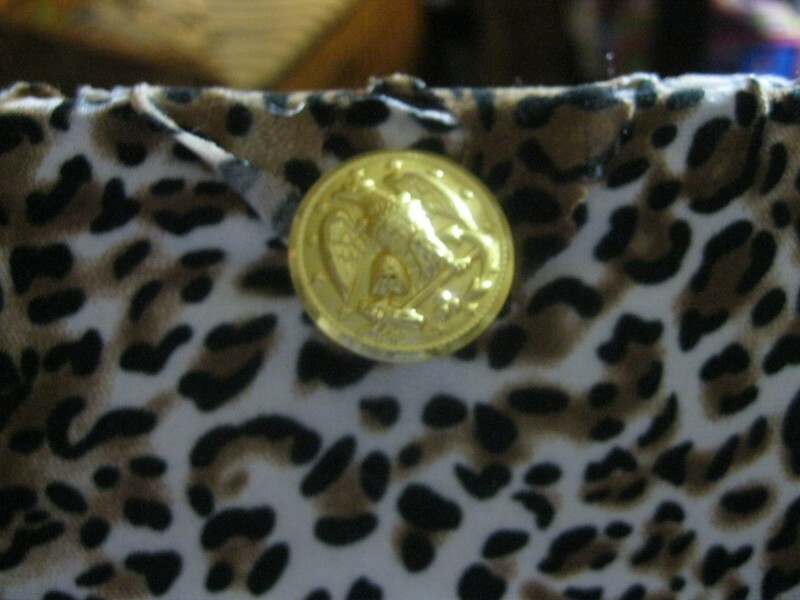 I kept a little extra piece of the leopard fabric because I intended on putting a button later on. 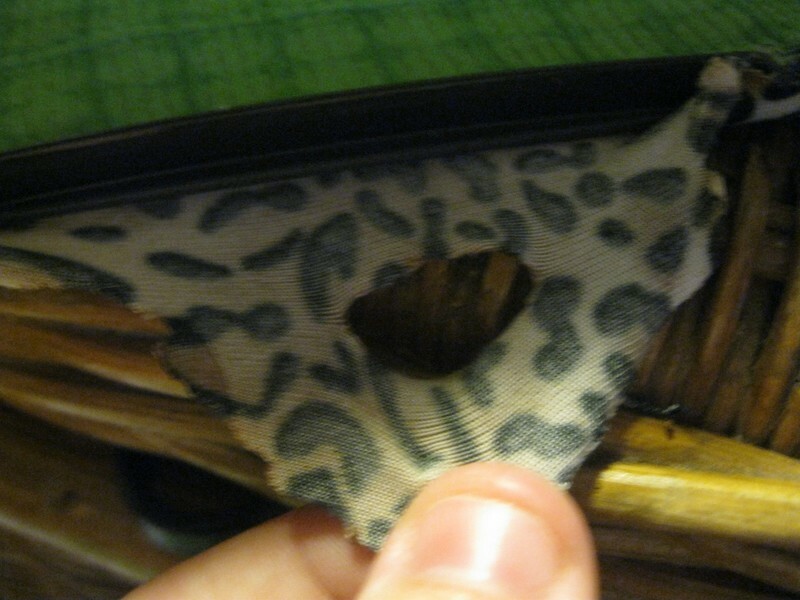 Take any fabric you want & Glue it to the inside. 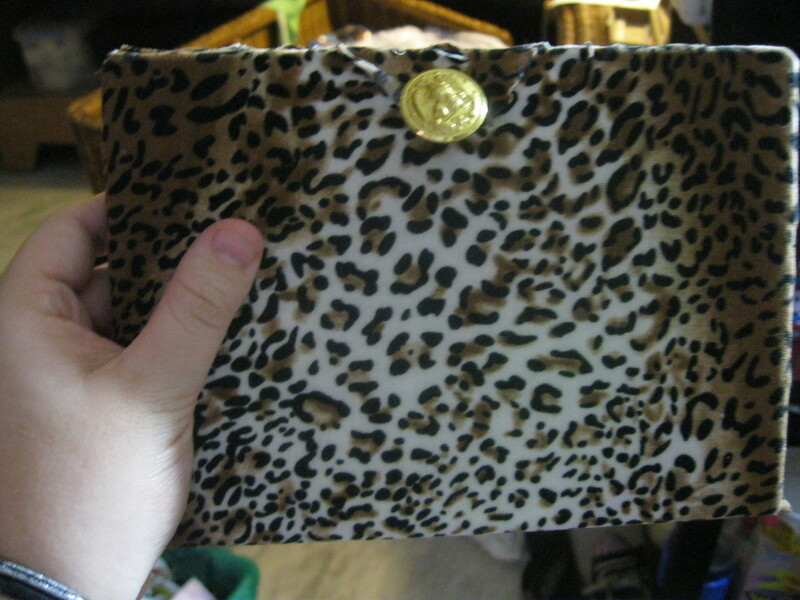 You can cut off the little clippy things, but I wanted to keep it to hold onto my cards or money. 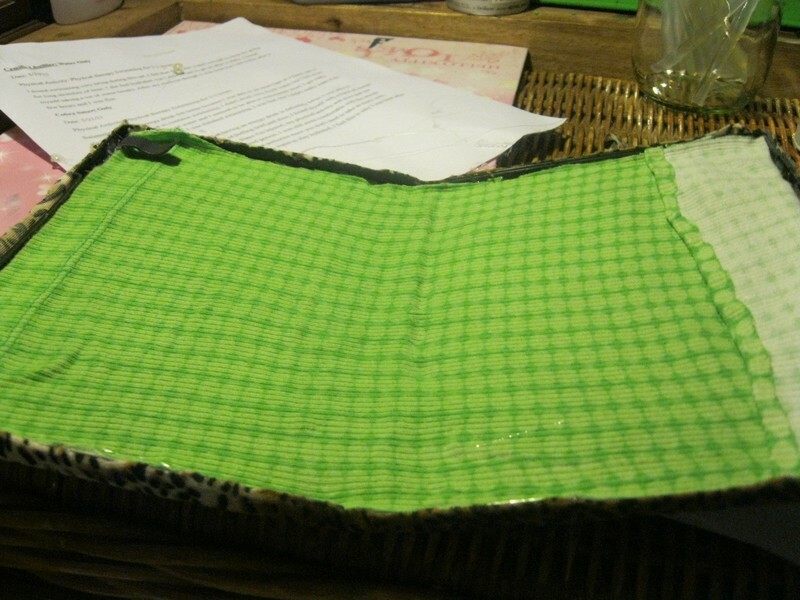 I made little pockets also, the middle of that pocket is glue to make two smaller ones. 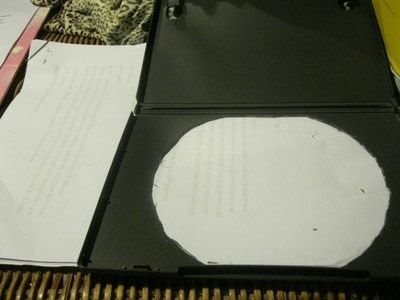 no I dea where I am going to get an empty dvd case.. but maybe I might be able to find one, sometime, when i do i so want to make one of these to hold a few things in it. lol thas good idea yeah! 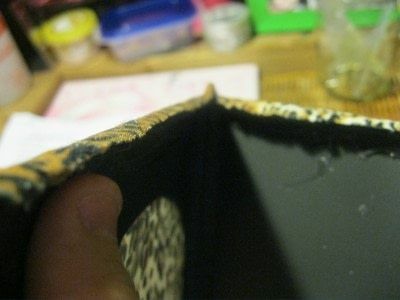 can carry around a lot more compared to it's current flat stuff only state Thanks Elle V !! You know if you put a triangle of fabric between the short sides of the case and added a flap to the top of the clutch you could hold more. Oh that's nice! Repurposing is awesome!